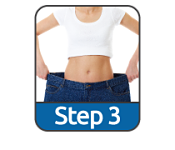 Congratulations for making the choice to make a lifestyle change by considering the ITG Diet 3 Step Weight Loss Plan. 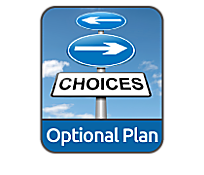 You will have the option to choose from two different Options. This is a Low Carbohydrate Low Calorie Ketonic Plan. You will be eating approximately 40-60 grams of carbohydrates per day and consuming approximately 1,000 calories per day. Your body will actually go into a light ketosis, which simply means your body is in a fat burning mode. 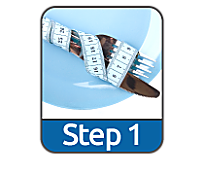 You will be on this step until you lose 100% of your weight loss goal. 3 ITG Products per day (may vary with your protein needs for your body type). Along with your 3 ITG Products per day you will also be having a minimum of 2 cups of vegetables with your lunch and dinner. With the addition of 5-8 oz of lean protein with your dinner meal. Only one of the ITG Limited products (higher in carbs) will be allowed per day. Your coach will explain what products these include along with a list than can be found in your Dieters Folder. Along with your 3 ITG Products per day you will also be having a minimum of 2 cups of vegetables with your lunch and dinner. On this plan you will add 3-4 oz of lean protein at breakfast or lunch. With the addition of 5-8 oz of lean protein with your dinner meal. And/or you may also add an additional ITG food packet per day (A non limited product). Only one of the ITG Limited products (higher in carbs) will be allowed per day. Your coach will explain what products these include along with a list that can be found in your Dieters Folder. This is for the rest of your life. You will now be on 100% whole foods and have learned about living a healthy lifestyle with the knowledge to maintain a healthy weight. Your coach will continue to support you and, of course, you can still have some of our proteins for healthy snacks. Your coach has several helpful documents when you get to this step. This plan is for anyone who will not be able to participate in the ITG Diet ketonic plan. It could be for health reasons or the regular plan is too strict for you to follow. You may also start this plan and move to the Option One Plan. Please consult your coach for the best plan for you. On this plan you will be incorporating other food groups into your meal plan. This is also a 3 Step plan that will get you to your goal. However, your weight loss may be a little slower on Option Two. Copyright © 2019 Slim Down St Pete Weight Loss. All Rights Reserved.